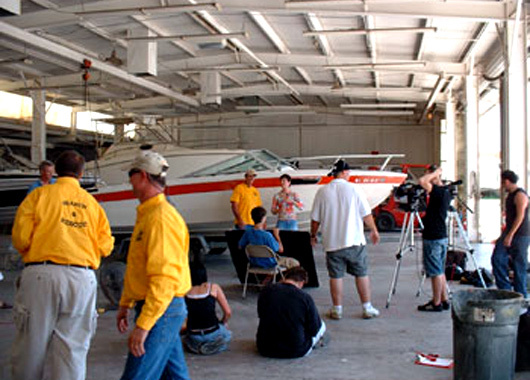 Get your boat out of the garage and into our shop! 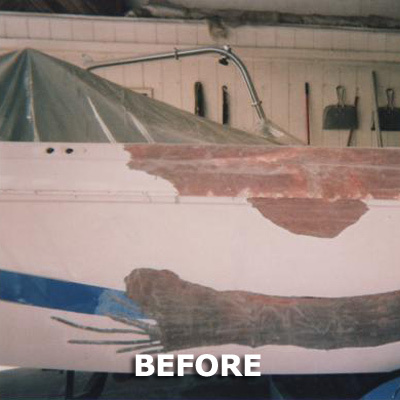 Our crew are well educated in the art of reconstruction and re-fabrication of boats. Indoor work shop with fenced and gated yard with security dogs. LIFE TIME WARRANTY on all fiberglass labor and materials, for as long as you own the boat. 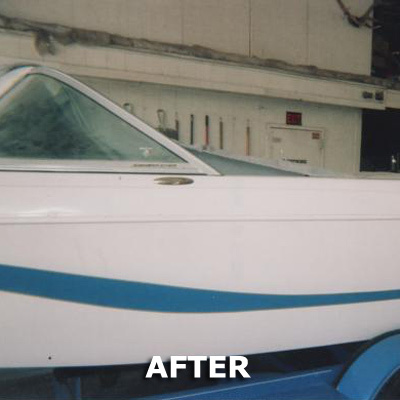 Fiberglass repair for boats, jet ski, personal watercraft, RV, etc. Why Choose Our Custom Fiberglass Service! 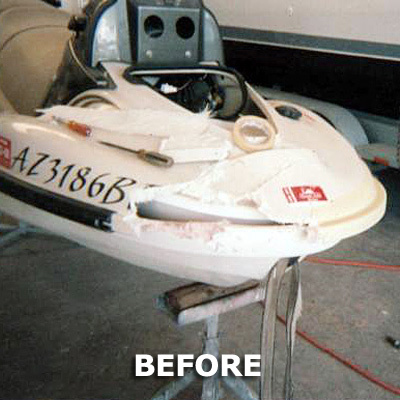 Repairing your boat or jet ski can cost you hundreds or even thousands if done the wrong way. 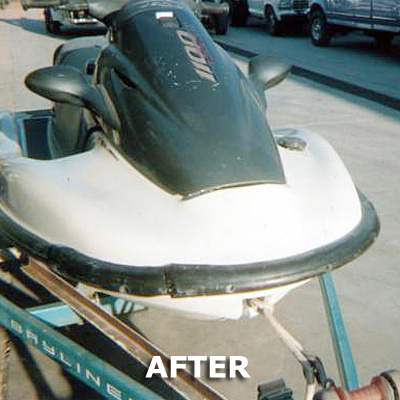 Before you throw your towel in the ring, have our fiberglass experts take a look and see if we can repair your watercraft. We use only first class materials. We ensure the road is smooth and the results extraordinary. 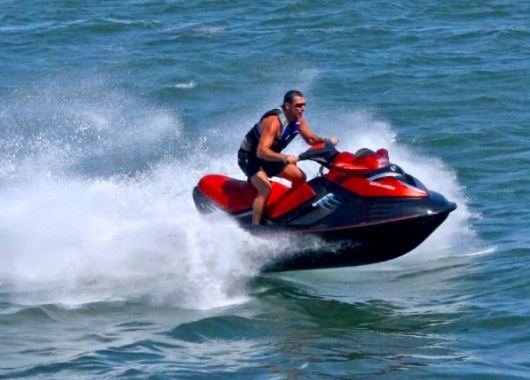 We have years of experience customizing and repairing a wide range of watercrafts. Family owned and operated, Sun Valley Fiber-Glas has been serving the Phoenix, Arizona area for over a few decades. Coming from a background of fiberglass manufacturing, moving into repairing fiberglass products was a logical next step. 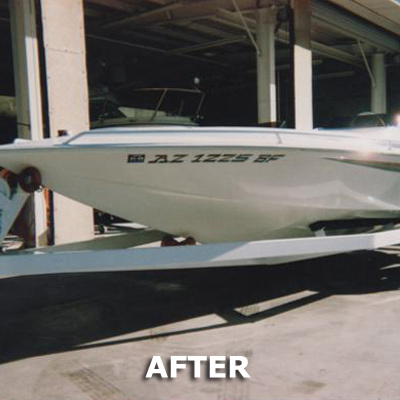 Over the years we have developed the skills and acquired the tools to provide services to repair and provide maintenance for a vast range of watercrafts and vehicles. Small or big jobs, our people will exceed your expectations. We pride ourselves on quality work at a great price. 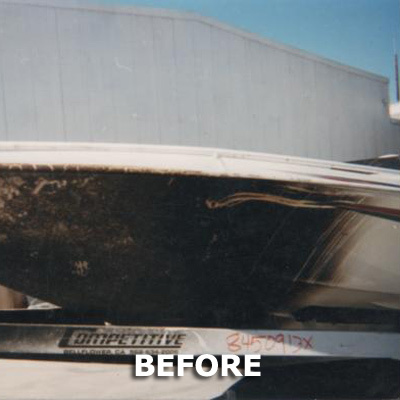 Some boat or jetski owners will call for just a minor scratch, a small cosmetic concern; We advise that the labor-intensive gelcoat repair is not needed for that. We suggest repair only when there is damage of some depth or a hole that could result in water entry. Just like someone who wants cosmetic surgery just because he or she has some natural wrinkling from aging, "extensive repair" is really not needed - just more surface care. And, surface care for a boat is wax. Don't worry about "wax buildup" in Arizona; it melts too quickly in the heat and sun. The process We recommend is to apply a coat of wax, let it set for one hour, then take it off. This procedure should be repeated for a total of three times. Under a microscope, gelcoat looks like a sponge and takes in the wax accordingly. Using a heavy, viscous wax is not necessary and is even discouraging as it is so hard to remove in between applications. Sun Valley Fiber-Glas specializes in fiberglass repairs and we are proud of our work. Check out some recent projects below. 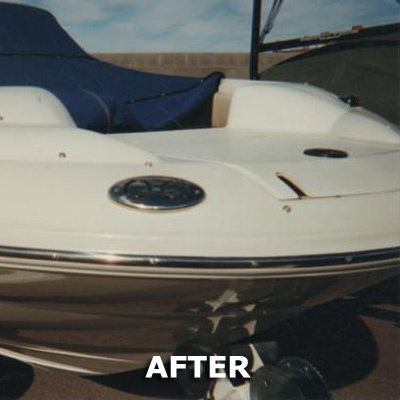 Cruisers Incorporated appoints Sun Valley Fiberglass Boat Repair as an authorized gel coat and fiberglass repair station for the Phoenix, Arizona area. 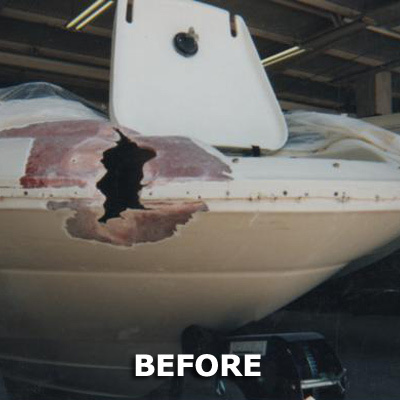 It will be our policy to refer all customers who have boats needing repair to your company. Sun Valley Fiberglas is an authorized fiberglass repair facility in Phoenix, Arizona. Their work has been proven to be of Eliminator standards and specifications. I would like to take this opportunity to express my gratitude to you for your outstanding commitment to excellence in dealing with our product. I am extremely pleased with the end results of your labor. I can and will recommend your company and its services to our many valued customers. I look forward to working with you and I am eager to see many continued successes in the years to come. Keep up the great work! 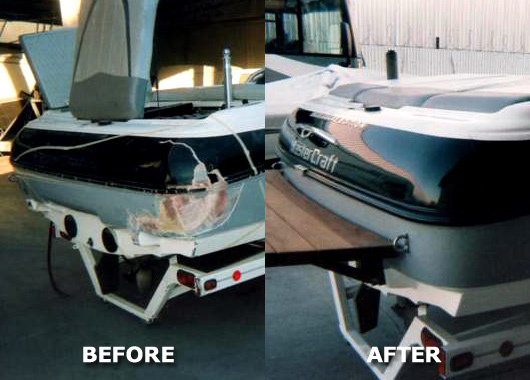 Mike Willis, Technical Representative Stratos Boats Inc.
Sun Valley Fiber-glas Repair. Well established since 1987 with over 25 years of quality professional paint and fiberglass experience!